Semi-private training is a unique structure in which you work out in small groups of no more than four clients, allowing you to maximize the benefit of your program and work closely with our expert training staff. Each workout is designed to help you lose weight and tone up. You will become a member of our online support group where you can share your successes, ask questions, and gain motivation. Plus you will have weekly check-ins with your trainer to make sure you hit your goals! We will provide you with our simple to follow nutrition plan so you can easily reach your goals. Not happy with the program for any reason? 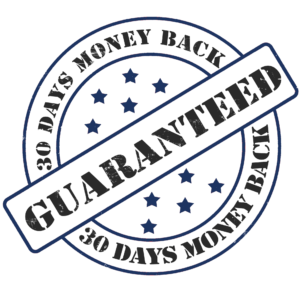 We offer a 30 day money back guarantee. We are so confident that you will fall in love with this program, that we are offering an unconditional 30 day money back guarantee. If during your first 30 days you don’t feel that this program is right for you, we will issue you a full refund no questions asked, no hassles, and no hard feelings.